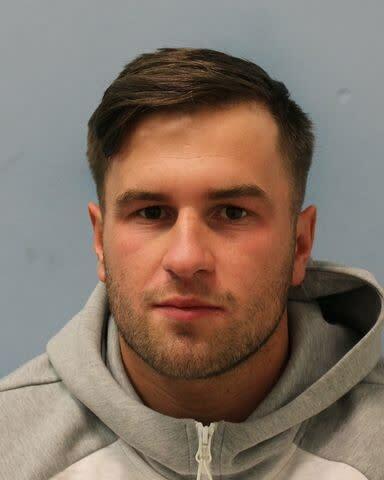 A man who deliberately drove a car at a group of pedestrians in Cricklewood has been jailed. Martin Stokes, 25 (13.12.93) of Lynton Close, Wembley pleaded guilty to dangerous driving, causing serious injury by dangerous driving and a religiously aggravated offence. 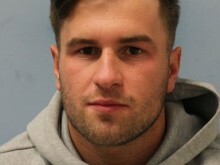 On Wednesday, 6 March at Harrow Crown Court, he was sentenced to five years’ imprisonment. He was also banned from driving for seven-and-a-half years. The court heard that at around 00:30hrs on 19 September 2018, Stokes was parked up in a car park close to The Al Hussaini Association Muslim community centre on Horseshoe Close where a private event was taking place. Stokes and the other occupants of the car were drinking and smoking in the vehicle when they were asked to move on by the event stewards, who said they were causing a disturbance. In response, Stokes shouted racist abuse and then deliberately drove his car into a group of people who were leaving the community centre, before fleeing the scene. Three people were left with injuries, including one man in his 50s who suffered a serious hip and leg injury that left him hospitalised for more than three weeks. An investigation was launched by Brent CID and on Tuesday, 23 October, Stokes was arrested in connection with the incident and later charged. Detective Sergeant Kelly Schonhage, of the North West Command Unit, said “Stokes selfishly drove his car at a group of innocent pedestrians and had no regard whatsoever for their safety. Javid Rana, the Chair of the Association of Muslim Police, said: “We know this incident caused significant concern within the community and we were pleased to be able to support this investigation and provide reassurance to the public. Mohammed Al Bayati, from the Al Hussaini Association, said: “Our members were subject to racist and anti-Islamic taunts followed by a violent attack in which a vehicle was deliberately driven onto the pavement and aimed at the crowd of worshippers leaving the mosque. The attack, against men, women and children and which resulted in serious injuries to the victims, took place at night during Muharram, a sacred month of the Islamic calendar. “Our thoughts and prayers continue to remain with the victims of the attack and to their friends and families. “The members of our Association wish to join me in recognising the selfless actions and bravery of all our community wardens, men and women, young and old and the other members of our community whose care and prompt actions helped minimise the extent of the injuries sustained and prevented an even deeper unthinkable tragedy.